AmigaOS 4.1 Final Edition requires no previous version of AmigaOS 4.x and is a stand-alone product, quite possibly the most affordable version of AmigaOS ever to be released. 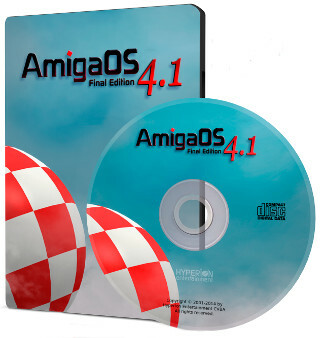 AmigaOS 4.1 Final Edition allows current users of AmigaOS 4.1 to install a complete original version of AmigaOS 4.1 without subsequently needing to download or apply six major and countless minor updates. Please make sure to order the correct version for your system.